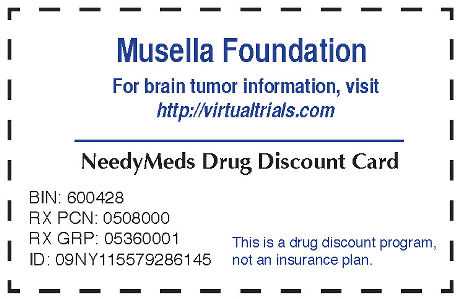 The Musella Foundation For Brain Tumor Research & Information, Inc is a 501(C)3 nonprofit public charity dedicated to helping brain tumor patients through emotional and financial support, education, advocacy and raising money for brain tumor research. This site was last updated on: 04/21/2019 8:54 PM . Click HERE to see what was added! (1/26/18)High compliance with Optune linked to greatest survival benefit for glioblastoma 29% 5 year survival in high compliance group compared to 4.5% in control group. (9/27/17) Amazing increase in survival for newly diagnosed GBM by adding CCNU Survival for newly diagnosed MGMT methylated GBM patients was 46.9 months! (9/27/17) Long Term Outcomes Reported From Optune Trial More than doubles chances of being alive at 5 years for GBM patients! 8/31/17 "Treatment Options for Glioblastoma and other Gliomas" Ben Williams' Aug 2017 Update - An excellent report on all treatments for Glioblastomas - a must read! 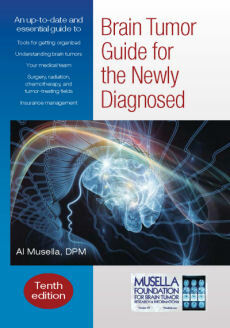 Brain Tumor Guide for the Newly Diagnosed- NEW (12/1/2016) 10th Edition! A FREE 123 page online book covering what you need to know NOW! 10/29/14 Supplement to "Seminars in Oncology" devoted to NovoTTF-100A. This is a set of 4 research papers and an introduction. This is the publication of the registry data mentioned below. It goes into more details on the analysis of how the treatment works in patients and patterns of response. It shows that in about 50% o the patients who respond, the first MRI looks worse, and it takes about 5 months for the MRIs to start to look better - so be aware and do not give up too soon. Germany OKs Northwest Bio brain cancer drug Great news! DC-Vax can now be sold in Germany. 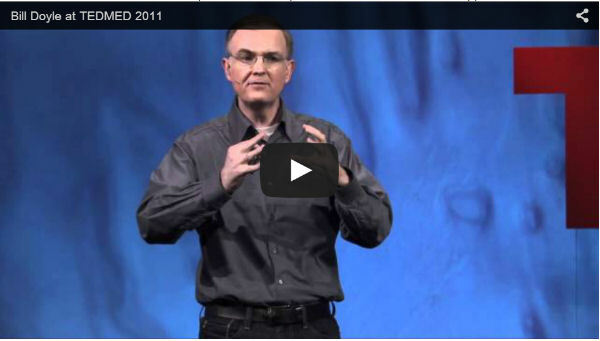 Click HERE for other important brain tumor videos! Super Selective Intra Arterial Infusion A new way to get treatments to where they are needed! Delayed response and survival from NovoTTF-100A in recurrent GBM . A case report of a patient from the trial for recurrent GBMs, who has been on the device and doing well for 6 years. Of note is his initial MRI after sterting the device looked worse. This shows that the device takes time to work and some people have been stopping too soon. New trial opens - with new concept in treating brain tumors: interlaced therapy! Brain Tumor Patient`s Success Story Helps Gain Support For New Treatment! Novocure announces the comercial availablility of the Novo TTF-100A device for the treatment of glioblastoma multiforme! Novo TTF-100A approved by FDA Advisory Committee meeting - for use in recurrent Glioblastoma! Generic Temodar Available in the UK! New Videos added to our video library about Super Selective Intra-arterial delivery of treatments, the Novocure treatment, vaccines, personalized medicine and mucn more! 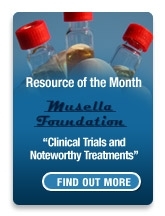 Noteworthy Treatments - A list of easy to read articles about brain tumors and treatments. Viatical Settlements: Learn how you can get money from your life insurance policy. Join a Brain Tumor Support Group. The best online support group for medical discussions about brain tumors is the BrainTumor Treatments group For other groups: look here: Online Support Groups and Real World Support Groups. Virtual Trial- A registry / database of brain tumor treatments and outcomes. Please contribute your case history and you can view the results! Make a Donation If you feel this site is valuable to you, please show your appreciation by making a donation. A lot of people visit this site, so a small donation - even $5 -can add up fast, which will enable us to expand our services! We have a lot of ideas on the drawing board, just waiting for the resources needed to implement them! Oligo Fund - make a donation to a special fund set up so that 100% of your donation will go to Oligo research only.. Click HERE for more info and to donate! Fundraising for Brain Tumor Research Participate in one of our fundraisers, or plan one of your own! Here are the most recent topics of conversation in our online support groups. To join the discussion, click HERE! The name of the group is in [brackets]. 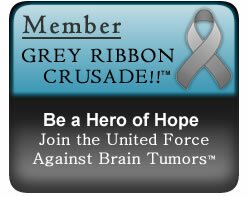 We are a founding member of the Grey Ribbon Crusade™ - a group of brain tumor organizations and individuals United as a Force Against Brain Tumors! National Institutes of Health Website and printed literature. Click HERE for more awards and achievements! The following organizations have donated money, software or services to our foundation, which allows us to provide the information on this web site at no charge to YOU! Please take a few minutes to visit their sites to show that you value their support! Note: Becoming a sponsor does NOT influence the content of our site. All articles / videos are reviewed by our medical advisory board and approved based solely on their merits. This site is designed for educational purposes only and is not engaged in rendering medical advice or professional services. The information provided through this site should not be used for diagnosing or treating a brain tumor, health problem or a disease. It is not a substitute for professional care. If you have or suspect you may have brain tumor, you should consult your health care provider. If you find something here (or anywhere on the web for that matter) that you think may help you, bring it to the attention of your doctors and ask them about it. If they don't know enough about the treatment to offer advice - have them call the contact person to find out more. Dr. Musella, the president of the Musella Foundation, is a Doctor Of Podiatric Medicine, not a brain tumor specialist. He may provide ideas for you to pursue, but can not provide medical advice. We do not recommend any individual trial or brain tumor treatments- we are just letting you know of their existence. The listings are in random order. The articles on this site are all just the opinions of their authors. We (the Musella Foundation) do not necessarily agree with the concepts expressed. All articles are reviewed by our medical advisory board before publishing on this website to help weed out inaccurate or misleading information - but we can't guarantee the accuracy of all of the information on this site.